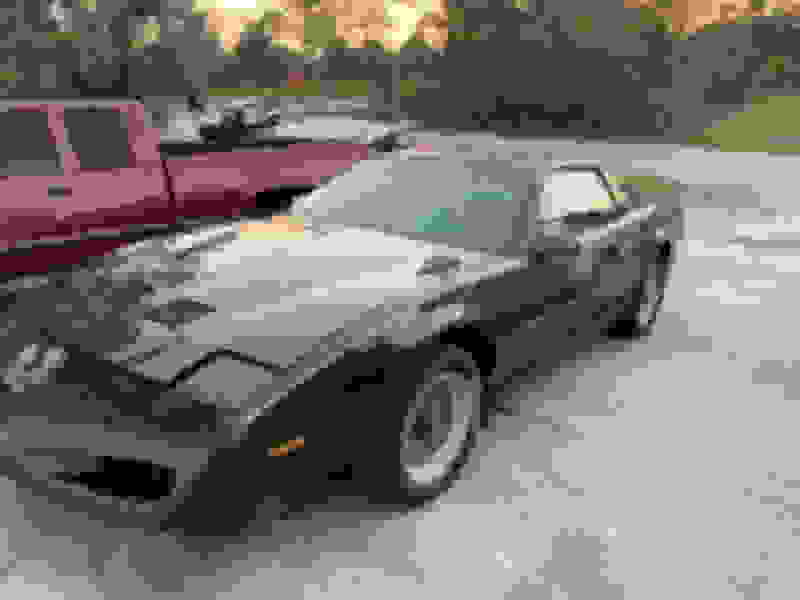 Looking for a standard trans V8 project car. Does not have to run but needs to be complete. No major rust either. Hardtop prefered, ttop ok if no rust and gaskets are good. No Verts. No V6 or iron duke cars. Camaros welcome as well. Budget is 2500 ish. Located in Houston, willing to travel for the right car. Here's a 5sp v8 project car for ya. 91GTA. This car is pretty solid, that being said there is some rust on the hood and it's missing the rear spoiler and front left ground effect.Interior is decent no cracks on dash pad but leather tan seats need redone.I just pulled the gas tank to put a fuel pump in it and the tank is far to gummed up to back in from sitting,I just ordered one and will have it back together this week. I live in Florida and need to get 3500ish. If your interested pm me. No extra charge for the tigers painted on the door!!! LMAO! I have an 87 GTA price can be talked about. I'm in Houston as well. How long for an auto to standard trans swap?